« As organizations evolve towards DevOps to accelerate digital innovation and software quality, cloud and microservices infrastructure help them shorten development cycles, release faster. But, these technologies and the constant pressure to cut testing time pose real speed and reliability challenges. 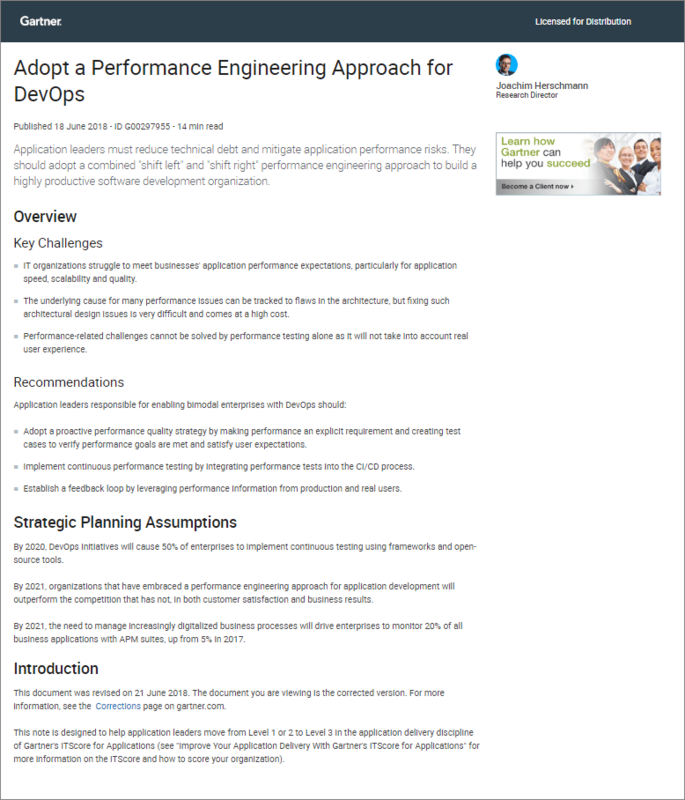 Application leaders must reduce technical debt and mitigate application performance risks. They should adopt a combined « shift left » and « shift right » performance engineering approach to build a highly productive software development organization.